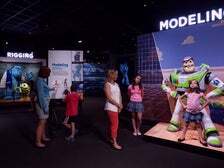 "The Science Behind Pixar," now on view through April 16 at the California Science Center, features more than 40 interactive exhibitts that take you through every phase of production. On view at the Skirball through March 12, 2017, Pop for the People displays more than 70 Lichtenstein works, spanning four decades. The exhibition includes the seminal Ten Dollar Bill (1956), one of Lichtenstein’s first Pop Art pieces; the iconic Sunrise (1965) and Shipboard Girl (1965), created when he was first gaining renown; and more than 20 prints created in collaboration with acclaimed L.A. printing house, Gemini G.E.L. 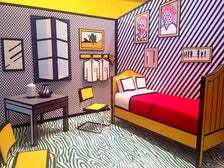 Read on for highlights of Pop for the People: Roy Lichtenstein in L.A. at the Skirball Cultural Center. Your date is off to a good start - admission to the Getty Center is free, and you don’t need a ticket or reservation! 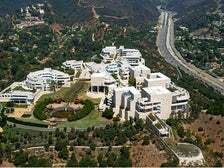 Parking is $15 per car, and reduced to $10 after 3 p.m. Go Metro and save even more money: Metro bus lines 734 and 234 stop at the Getty Center entrance, located at the intersection of Getty Center Drive and Sepulveda Boulevard. 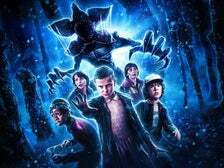 Contrary to popular belief, Los Angeles has four seasons and summer in L.A. isn’t actually endless. As the city transitions to the cooler temps and shorter days of fall, we preview the hottest openings, exhibits and special events taking place in L.A. from September and beyond. 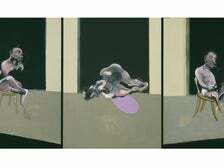 On view at the Getty Center, "London Calling: Bacon, Freud, Kossoff, Andrews, Auerbach, and Kitaj" represents the first major American museum exhibition to explore the leaders of the “School of London,” which rejected contemporary art’s preoccupation with abstraction and conceptualism in favor of the human figure and everyday landscape. 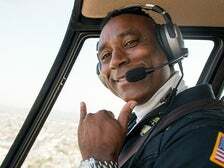 Get to know activist and helicopter pilot Robin Petgrave, the founder of Tomorrow's Aeronautical Museum and mentor to a new generation of influential Angelenos. 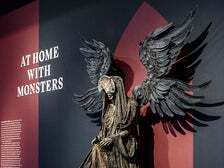 Now on view at the Los Angeles County Museum of Art (LACMA) through Nov. 27, 2016, Guillermo del Toro: At Home with Monsters is the acclaimed filmmaker’s first museum retrospective. Now on view through August 21, 2016 at the Annenberg Space for Photography, REFUGEE features new photographic artworks that illuminate the global refugee crisis. On view at the Getty Center May 7 – Sept. 4, 2016, Cave Temples of Dunhuang: Buddhist Art on China's Silk Road features numerous objects originally from the site - paintings and manuscripts that have rarely, if ever, traveled to the United States, as well as three spectacular full-size cave replicas. 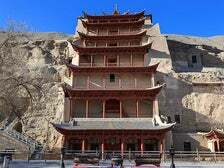 The exhibition celebrates more than 25 years of collaboration between the Getty Conservation Institute and the Dunhuang Academy to preserve this UNESCO World Heritage Site. 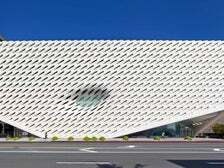 The Broad is the first major art museum in Los Angeles and one of only a handful of museums in the country to achieve LEED Gold status. The Broad’s environmentally friendly features include electric car charging stations, bike parking spaces, rooftop drains routed to street level gardens that filter runoff, and high-efficiency plumbing fixtures that help reduce indoor water use by 40 percent. In addition, with easy walking access to residential and commercial buildings, restaurants and other cultural amenities, and close proximity to public transit and adjacency to the new Metro Regional Connector station at the corner of 2nd and Hope Streets (anticipated opening in 2021), The Broad aims to be in the top tier of eco-conscious, efficient and sustainable museums.